January 12, 2013 / Queens Neighborhoods / NYC Parks / Gotham Buzz NYC. Over the past six months we’ve been watching with interest as events have been unfolding regarding the building of a 25,000 seat soccer stadium right in the heart of Flushing Meadows Corona Park. There are also a number of other proposals working their way through the political process / local government, which calls for the cessation of public lands to build private enterprises on various sections of Flushing Meadows Corona Park. Currently four separate proposals are in process for planned developments in Flushing Meadow Corona Park. They include: 1) a chain store shopping mall / complex in the southwest corner of the Citifield parking lot [pink], 2) a housing / condominium / hotel complex on the lands the city acquired in its use of eminent domain to develop Willets Point [blue], 3) the expansion of the USTA facilities in the northwest section of the USTA franchise in the park [orange] and 4) the erection of a thirteen plus acre stadium / sports complex in the middle of Flushing Meadows Corona Park [yellowish green]. 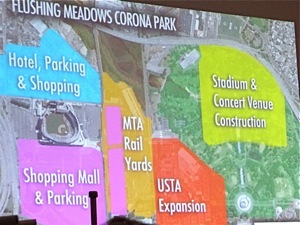 The graphic above was provided by one of the community groups opposed to the Flushing Meadow Corona Park developments. It's worth noting that most of the colored areas already have pavement or structures covering the land. The exception is that of the proposed Stadium & Concert venue [yellowish green], which would be a completely new development, replacing water vessels which were created for the Worlds Fair. See the map in the header of this series [top of page] where the dark red square represents the approximate acreage and location of the proposed stadium / concert venue. 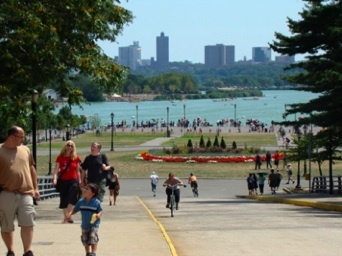 Queens Buzz has put together a series of reports, which we will run in the coming days about the proposed developments in Flushing Meadow Corona Park. This report starts with a bit of the history of the park, which began around the turn of the last century when Flushing Meadows Corona Park was just an ashpile. The focus of this report is the 1939 NYC World's Fair which was held in Flushing Meadow Park as it was then called. January 12, 2013 / Queens Neighborhoods / NYC Parks / Gotham Buzz NYC. Continued. 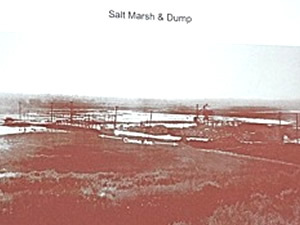 Our journey begins more than 100 years ago, when the land south of Flushing Bay that ran along the Flushing River was just a salt marsh. 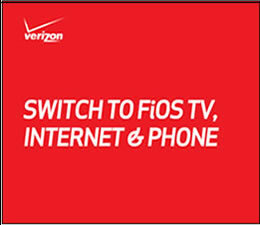 The photo to your left was taken from a slide presented by Matthew Malina at the Queens Museum of Art in January of 2013. 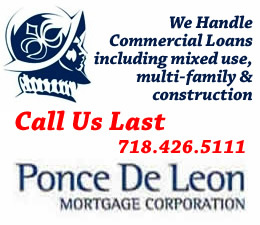 Our story begins about 1900, as New York City was emerging as one of the great cities of the world. At that time, Flushing Meadows was a salt marsh, fed by the saline waters of Flushing Bay, which lies between the East River to the west and the Long Island Sound to the northeast. 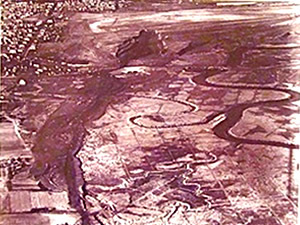 The Flushing River ran south from the bay into Queens. A dump was built nearby, just off Corona Avenue and called the Corona dump. The fast growing populations of Manhattan and Brooklyn were heated by wood and coal, and the ashes would be carted away by the Brooklyn Ash Company to Barren Island. In 1909 the Brooklyn Ash Company, owned by John McCarthy, started using Flushing Meadows as its ash dump. Sixteen years later, F. Scott Fitzgerald would characterize the Corona Dump as a “valley of ashes, a fantastic farm, where ashes grow like wheat” in his novel the Great Gatsby. At the time of the publication of the Gatsby book in 1925, the ashes were said to be some 90 feet high. The original cover of the novel is shown in the graphic to your right. The Great Gatsby was a romance novel about an optimistic boy who had fallen in love with a rich girl just before he went off to fight in WWI. They had promised each other to marry when he returned from the war, but she married someone else in her class before he returned. He became fabulously wealthy [as a bootlegger], bought a home on the northern coast of Long Island across the Long Island Sound from the Connecticut home of the woman he loved. He’s constantly optimistic, pursuing the American dream. In 1934 NYC Parks Commissioner Robert Moses had NYC acquire the Corona Ash Dump. Moses made the purchase with the 1939 – 1940 Worlds Fair in mind. Moses’ vision went well beyond the Worlds Fair, and he used 1939 – 1940 Worlds Fair funds to clear, level and make usable, the 1,216 acres of the Corona Ash Dump, in preparation for the fair. The City of New York, lead by Robert Moses and the World’s Fair executives, transformed the valley of ashes into a sort of utopian village. From 1936 - 1937 they moved between 7 and 8 million cubic yards of material to create America's largest landfill site. During this time they also bury the Flushing River, running it underground via tunnels which still function today. In its place they create two man made lakes: Meadow Lake and Willow Lake which are used as scenic areas during the World’s Fair. 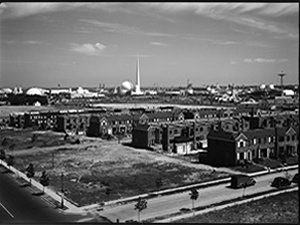 The photo to your right was taken of Flushing Meadow Park, formerly the Corona Ash Dump, looking southwest in the 1930's [Queens Museum of Art exhibit 2011]. The Flushing River was taken underground and replaced by Meadow and Willow lakes. It’s important to note that during the 1930’s there were quite a number of World’s Fairs, throughout the U.S. in Chicago [1933-1934], San Diego [1935-1936], Cleveland [1936-1937], Dallas [1936-1937], San Francisco , Miami  in addition to the 1939 – 1940 Worlds Fair in NYC at Flushing Meadow Park. The reason there were a lot of fairs then and not now is that theme parks like Disneyland, Disney World, Busch Gardens, Great America, Universal Studios and others just didn’t exist. The City Museum of New York currently has an exhibit on the World’s Fairs of the 1930’s on display now through March 31, 2013. We thank them for their contributions of information and photos for this story [see City Museum of New York exhibit entrance in photo to left]. New York City was still suffering from the economic impact of the Great Depression. The 1939 – 1940 Worlds Fair was part of the city’s plan to wrest itself out of the economic doldrums. 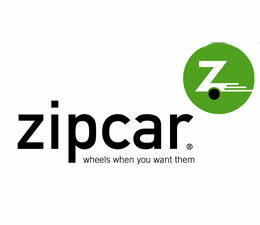 The idea was the brainchild of the former police chief, Grover Whalen, who became president and chief promoter of the 1939 – 1940 Worlds Fair. Working in tandem with Mayor LaGuardia, NYC Parks Commissioner Robert Moses and an Executive Committee; the 1939 – 1940 World’s Fair organizers set about to create the greatest Worlds Fair ever. Stephen Voorhees was the chief Architect, Harvey Gibson handled finances and Howard Flanigan, VP, handled labor. And within a couple of years the Corona Ash Pile was renamed and transformed into Flushing Meadow Park. 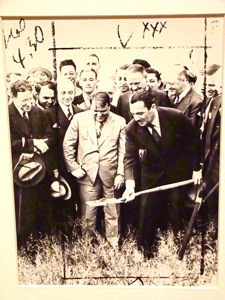 In the photo to your right, inside the crop lines are NYC Parks Commissioner Robert Moses, NYC Mayor Fiorello LaGuardia and World's Fair president Grover Whalen [Queens Museum of Art exhibit 2011]. The Worlds Fair theme was about the World of Tomorrow. 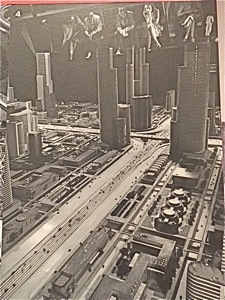 The whole fair was dedicated to heralding in the new ‘scientific era’ when the home would be automated with appliances to do the work for you, and American cities would be modern technological marvels, full of cars, bridges, tunnels, traffic lights and super highways taking individual mobility to a whole new level. World’s Fair attendees would get a glimpse into the utopian future that awaited them. The photo to your right shows a pamphlet published by Con Edison for the 1939 World's Fair [Queens Museum of Art exhibit 2011]. Robert Moses, the NYC City Planner, used the 1939 World's Fair to build more bridges, roads and make subway line enhancements. In 1933 the first section of the Grand Central Parkway to the Nassau County line was completed. In 1936 the Interborough [now Jackie Robinson Parkway] to the Triborough Bridge was completed. From 1937 - 1939 the Whitestone Bronx Bridge was completed. And through the end of the decade enhancement work continued on the E, F, R, M and #7 line subway lines. The 1939 – 1940 World’s cost $157 million to produce, included 200 buildings, was participated in by 58 nations, 33 states and 1354 exhibitors. 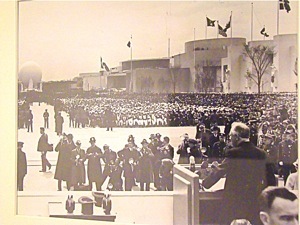 The 1939 World’s Fair was attended by 26 million people and the 1940 World’s Fair was attended by about 14 million people. According to reports, the 1939 - 1940 NYC World's Fair grossed about $46 million and cost about three times that amount. On April 30, 1939, the 32nd president of the United States, Franklin Delano Roosevelt [FDR], gave the opening speech at the 1939 World’s Fair which was broadcast via television to the public. It was received on televisions at the RCA building [RCA was NBC’s parent company at the time] on the fairgrounds as well on several hundred television sets through which hundreds of people saw the speech broadcast. It was the first broadcast made via television to the public [the first television broadcast was made by inventor Philo T. Farnsworth in 1928 in front of the press]. In the photo to your right, President Roosevelt is making the first public television broadcast [Queens Museum of Art exhibit 2011]. Roosevelt kept his remarks short. He commemorated the 150th anniversary of George Washington being sworn in as the first U.S. president in 1789. He congratulated the nation on making few changes to the basic structure of government since its inception, while the nation grew remarkably from 13 states to 48 states and from under 4 million people to over 130 million people. And while optimistic about the future, he expressed concern for the events unfolding in Europe [Hitler had taken over Czechoslovakia a month earlier]. Albert Einstein also appeared and gave a speech about cosmic rays. The fair was organized into seven zones including the Amusement zone, Transportation zone [future highways, trains & planes], Government zone where nations showed off local cultures, Food zone [spirits, tobacco, meat and bakery], Communications and Business Systems zone [ATT & IBM - robot], Production & Distribution [glass, metals, consumer products] zone, & community Interests [education, art, shelter, recreation & religion]. The photo to your right shows visitors perched above the Futurama exhibit depicting America in the 1960's [Museum of the City of New York - photo by Margaret Bourke-White / courtesy of the estate of Edith Lutyens Bel Geddes at University of Texas at Austin]. To that end General Motors built Futurama, a ride that took passengers around a football sized exhibit showing cities connected by freeways and bridges which they said would be built by 1960. The set was created by Norman Del Geddes, a Texas designer, who’s miniature model at the World’s Fair foreshadowed the federal interstate highway system built in the 1950’s during the Eisenhower years. The floor model had about a half million homes and tens of thousands of autos were included in the exhibit. Henry Ford built a racetrack atop the Ford exhibit building and reportedly had drivers circling the race track 24 hours a day. There was an airplane exhibit, showing the latest marvel in transportation, as the New York Municipal Airport [LaGuardia Airport] had just opened in time for the 1939 World’s Fair. And there was a large train exhibit showing trains past and present, as trains were still one of the primary means of passenger transportation of that day. 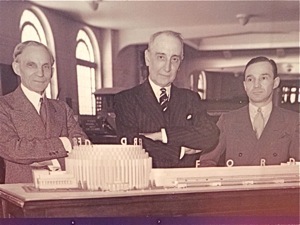 The photo to your left shows Henry Ford, Edsel Ford and Rufus Dawes at the 1939 - 1940 World's Fair in NYC [photo taken from the Museum of the City of New York exhibit - Collections of the Henry Ford]. The Business Systems and Communications section of the 1939 – 1940 World’s Fair was all about technology for the home and workplace. 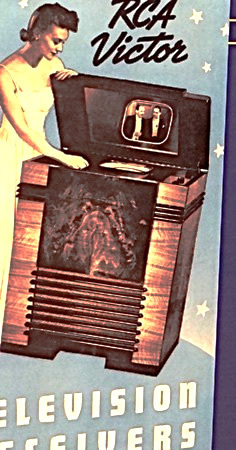 As mentioned previously, the first television broadcast to the public was made by FDR at the 1939 World’s Fair using RCA / NBC equipment [the first television broadcast was made by Philo T. Farnsworth in 1928]. The opening ceremony was the first television broadcast by a television broadcasting company [NBC], and was receivable within a 50 mile radius. At the time of the fair only 200 TV sets received the broadcast, as newspapers were the dominant medium, and radio was the dominant [and only] broadcast medium. In the photo to your left you can see an advertisement for the latest and greatest consumer electronic gadget of the day - a television receiver built to look like furniture [Museum of the City of New York - Edward J Orth Memorial Archives - National Museum of American History - Smithsonian Institute]. IBM was there and exhibited nascent computer technologies. At the time, even the best computers money could buy, didn’t have the processing power of a video game, smart phone or ipad of today. Westinghouse Electric built a robot, which they named Elektro. It took them two years to build [1937 & 1938] and they premiered Elektro at the 1939 World’s Fair. Elektro, a seven foot tall, 265 pound humanoid-like figure, would respond to basic voice commands. Elektro could talk with a vocabulary of 700 words, move his head and arms, smoke a cigarette and count. He was capable of doing a few other things, like cracking a joke or two. 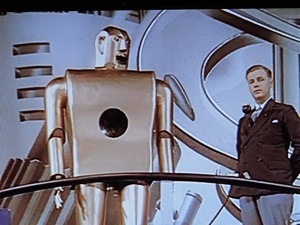 Elektro is shown in the photo to your right and his head is on exhibit at the Mansfield Memorial Museum in Ohio [Museum of the City of New York - an exhibit film entitled The Middleton Family at the New York World's Fair]. Westinghouse also put together a time capsule, containing mundane things of the age, that was buried and not to be opened for 5,000 years. 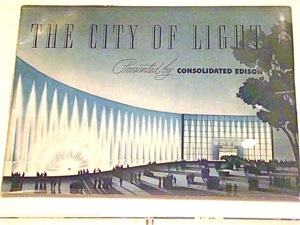 Electricity was said to be one of the primary features of the 1939 World’s Fair. Electricity was first transmitted into the home in New York City in the late 1870’s, in Chicago in the 1880’s, and most large cities by 1920’s. But it wasn’t until the New Deal and Public Works programs of the 1930’s that small towns were receiving electricity too. At first electricity was used primarily for lighting, but then for heating, cooking, washing, communications and so forth. General Electric premiered the first fluorescent light at the fair, providing high quality lighting at low cost. 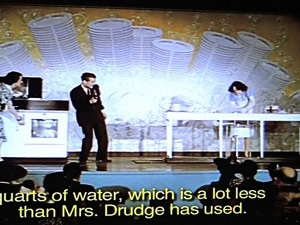 And Westinghouse conducted a dishwashing contest between a woman called Mrs. Drudge and a dishwashing machine run by Mrs. Modern [Museum of the City of New York - from an exhibit film entitled The Middleton Family at the New York World's Fair at left]. Guess who won? The Amusements zone had a number of rides and I believe the zone was located near the twin lakes of Flushing Meadow Corona Park. The Food category showed how food was processed and packaged, a trend that seems to be reversing itself today. And community interests of recreation, education, art, religion and shelter] appears to be a zone that received far less attention in its day. According to the literature there were 58 – 60 countries that participated in the 1939 – 1940 NYC World’s Fair. The backdrop to this event is that Hitler had annexed Austria in March of 1938. In March 1939, just before the World’s Fair opened, Germany annexed Czechoslovakia. In August of 1939 Germany and the Soviet Union signed a non-aggression pact, and agreed to spheres of influence in Eastern Europe. Early in September 1939 Hitler invaded Poland, which was followed by England and France declaring war. The Soviets invade the Baltic states, and then Finland in November 1939. The Japanese invade China before the end of 1939. In 1940 the war continues, sweeping in the Benelux nations and the Scandinavian countries in the winter / spring of 1940. By June 1940 the Italians have allied themselves with the Nazis, Paris has fallen and France is partitioned. The Battle of Britain begins in July 1940. All hell has pretty much broken loose – except in fortress America. 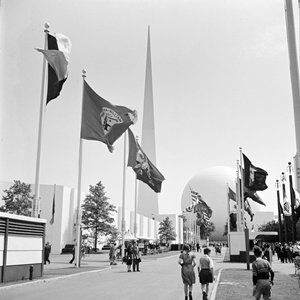 The 1939 – 1940 World’s Fair continues, while the rest of the world is engaged in war. The photo above was on exhibit at the Queens Museum of Art in Winter / Spring 2011. The photo above right shows Children walking down Constitution Mall 1939 and the flags of some of the 58 countries that participated in the 1939 World's Fair [Museum of the City of New York - Wurts Bros Collection]. But little things spill over into the fair. The Czechoslovakian exhibit is the last remnant of an independent Czechoslovakia before the fair even begins in 1939. By the end of the fair, you can read the sequence of events above, to see that the Czechs were soon joined by many other exhibiting nations. On July 4th 1940 two police officers killed while investigating a time bomb left at the British Pavilion. A bomb scare had been called in a couple of days earlier, but the bomb was found on July 4th by an electrician. The two police officers died while trying to defuse the ticking device which was found in a satchel. The perpetrators were never found. The photo above is looking north towards the 1939 - 1940 World's Fair site, 1939 [Museum of the City of New York - Wurts Bros. Collection]. The building that is today occupied by the Queens Museum of Art was originally the New York City Building, which was NYC’s official Pavilion during the 1939 – 1940 Worlds Fair. It is one of the three remaining buildings from that fair. And from 1948 – 1952 served as the United Nations General Assembly Building. 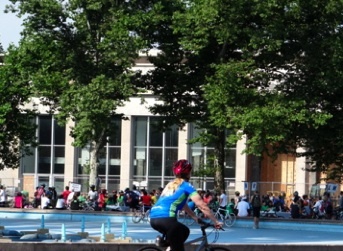 The facade of the Queens Museum of Art is shown in the photo to your left, as cyclists gathered prior to the Tour de Queens Bicycle Ride. In some senses the Queens Museum of Art has been the steward of the history of Flushing Meadows Corona Park. 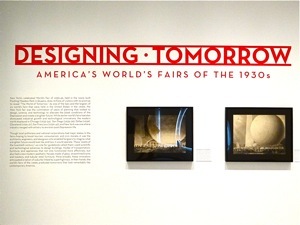 In 2011 the Queens Museum hosted an exhibit about the 1939 – 1940 Worlds Fair. Fortunately for us [and you] we attended the exhibit and are re-presenting some of what was shown in the exhibit. The Flushing Meadows Boathouse was renovated 2008 – 2011. It is the second of the three surviving buildings from the 1939 – 1940 Worlds Fair. The third one, according to the Parks Department, is the Queens Garage, which is still used for Parks Department operations. In the photo to your left is the Flushing Meadow Boathouse while it was being renovated in 2010. 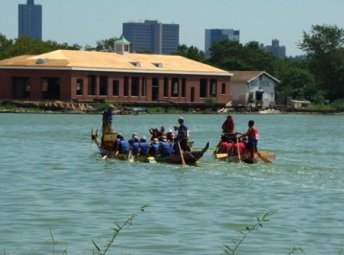 The Flushing Meadow Boathouse is on Meadow Lake in Flushing Meadow Corona Park and the photo was taken during the Hong Kong Dragon Boat Races. There was plenty of optimism going into the 1939 – 1940 World’s Fair, like the optimism of Jay Gatsby in the book about him. An ash pile was transformed into a utopian village. Science and technology promised to make our lives better. The World of Tomorrow seemed to provide limitless opportunity. But like the book, the story of the 1939 – 1940 World’s Fair didn’t end happily. Many nations had to pull out of the fair early as their countries had become immersed in war. Attendance, while setting records, failed to provide the revenue needed to cover the costs [one estimate put gross ticket receipts at $46 million versus a total cost of about $100 million more than that]. 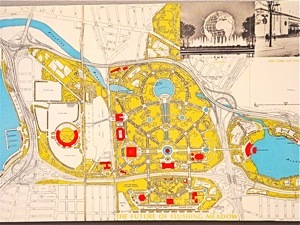 It seems the bondholders of the 1939 – 1940 World’s Fair lost their shirts; and Harvey Gibson, the Finance executive, was left scrambling trying to recoup what he could in selling off the exhibits and even, reportedly, trying to sell Flushing Meadow Park to the U.S. government as a military installation. Thus out of the ashes immortalized in the Great Gatsby, rose the phoenix - a temporary utopian village - that was quickly disassembled as the onslaught of WWII would grip the nation as it had gripped the rest of the world. But the story of Flushing Meadows Corona Park doesn't end here, as it has only just begun. Above right is a segment of a 1964 map of Flushing Meadow Corona Park which may be found along the walkway on the south ridge of Flushing Bay. The 1939 – 1940 Worlds Fair in NYC left some lasting legacies. The former New York City Building eventually became the temporary home of the U.N. General Assembly [1948 – 1952] and currently houses the Queens Museum. It was there that Palestine was partitioned and Israel created; and Korea partitioned and South Korea created. Flushing Meadow Park was created out of an ash pile for the people of New York to use as a recreational center. Two lakes would survive, as would most of the transportation infrastructure put in place by Robert Moses and NYC to accommodate the housing and transportation of the influx of visitors. And the Meadow Lake Boathouse survived, which every summer is the location of the largest single tourist attraction in Queens: the Hong Kong Dragon Boat Festival. Perhaps the greatest legacy of the 1939 – 1940 World’s Fair was the multi-culturalism, multi-nationalism that was exemplified at the fair, in spite of the beginning of a world war. People from 60 nations co-habited a spot on the planet, while their nations were at war, and didn’t set off to fighting themselves. Queens continues to exemplify that legacy, as about half of the population of Queens was born elsewhere and over 100 languages are spoken in the borough. The Unisphere is the physical representation of many peoples and one world, but it was created by U.S. Steel for the 1964 NYC World's Fair - not the 1939 NYC World's Fair. That said the Unisphere, which measures 120 feet in diameter, harks back to one of the two main symbols of the 1939 World's Fair - the Perisphere [a large sphere] which was 180 feet in diameter. A second, emerging legacy, may be the use of science in helping create a better society. Last year NYC designated a technology center on Roosevelt Island. At one of the Community Board Meetings, one of the participants asked whether the park could be granted landmark status or some historic designation to protect it from future development. 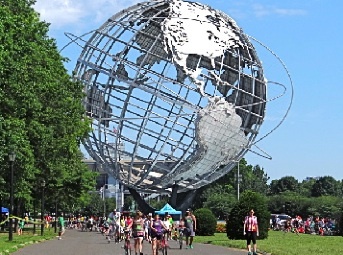 After learning about the history of Flushing Meadows Corona Park, Queens denizens must decide whether Flushing Meadows Corona Park is more than a park, but also a historial and cultural site. And if the park is of cultural significance, in what manner should government officials protect and / or develop it. As a point of reference, Central Park was a mess in the 1930's and cleaned up by Robert Moses during the LaGuardia administration. Robert Moses envisioned that one day Flushing Meadows Corona Park could evolve to become a park rivaling - if not surpassing - Central Park. Central Park was designated a National Historic Landmark in 1962 and as far as I know, no new structures have been erected in the park since that designation. 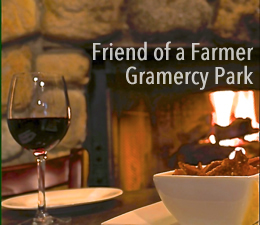 In fact in 2012 a gift of $100 million was given for preservation and care of the park. Stay tuned for our next report about the Battle for the Heart of a Park and the Soul of a Borough which we'll post Monday, January 14th, 2013. The Part II report is entitled NYC Stadiums: Battle of the Titans. 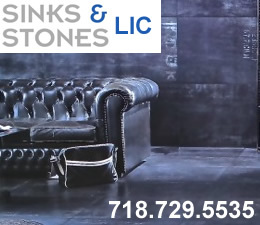 We acknowledge the informational and photo contributions of the following: The Museum of the City of New York [Worlds Fairs Exhibit 2012 – 2013], the Queens Museum of Art [1939 Worlds Fair exhibit 2011], Macaulay Cuny, Wikipedia, Google maps and NYC Parks Department. The following is a slide show of photos taken of the 1939 - 1940 World's Fair in Flushing Meadow Corona Park, as well as some early photos of the Corona Ash Dump and Flushing Meadow Park. Use the arrow keys to move through it at your own pace or click this link to view photos of the 1939 - 1940 NYC World's Fair in Flushing Meadow Corona Park in Queens. 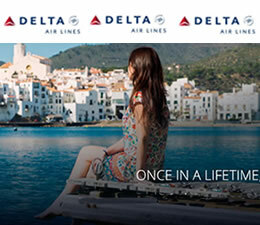 ERROR: ophoto element function 'photo_slideshow' doesn't exist. 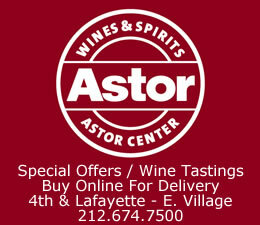 Click these links for promotions, discounts and coupons in nearby Queens NYC.